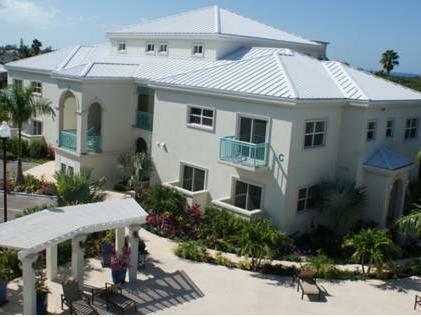 ﻿ Best Price on Caribbean Diamond in Providenciales + Reviews! Caribbean Diamond in Providenciales is situated only 800 metres from the clear blue water of the Turks and Caicos Islands and offers guests 2 on-site restaurants, a fitness centre and an outdoor swimming pool. The modern apartments at this tropical property come with free Wi-Fi, a seating and dining area and a fully equipped kitchen. They also offer a balcony with garden views and a clothes dryer. The property’s Live Lounge serves international food, and there is a bar and grill located 2.8 km away. There is also a grocery store within 9 km of Caribbean Diamond. There is a golf course located 3.3 km away, and the city centre, just a 15-minute drive away, offers shopping and sightseeing. Smith’s Reef features excellent snoreklling and diving and is only a 25-minute drive from the property. Providenciales International Airport is 21 km away. Please note that pool parties are not allowed at the property.